What do Iron, Zinc and Boron do for your Lawn? We’ve been dealing with how different chemicals affect the lawn. In this article, we’ll talk about what Iron, Zinc and Boron do for your lawn. We hope you find this article informational and instructive. When a lawn lacks in iron in the soil, this can result in a change of your lawn’s color. Lawns that don’t receive enough iron may begin to fade from a normal, rich green to a pale-yellow green or even completely yellow. Coupled with a reduction in nitrogen, this only makes the lawn coloration worse. Chlorophyll in grass is directly tied to the iron levels in the soil. If you want a green lawn, you want to have a lawn that gets its fill of iron when you feed it. Low levels of zinc usually occur in areas where sandy soil is often washed out by rain or irrigation water and nutrients are unable to hold the soil. A spring season with lots of rain and low temperatures can exacerbate the loss of zinc in the soil. A deficiency in zinc can cause shriveled or creased blades of grass that are also beginning to yellow. Soil with not enough zinc in it can impede growth and create denser leaves. Boron is a micronutrient that is critical for stem cell differentiation, helping root and blade cells proliferate. It’s also used widely in photosynthesis. Without it, sugar production isn’t going along very well. It’s absolutely critically important to protein synthesis. Boron deficiencies caused plants to have 25% less tryptophan, which is an important amino acid. Therefore, it’s necessary for plant growth. Without adequate boron in soil, plants may appear healthy but may not bloom or flower. Heavy boron in the soil, however, can be toxic to your lawn. You must maintain proper levels of the micronutrient for the lawn to remain healthy. As you can see, Iron, Zinc and Boron all do important things for the soil. You need them in an appropriate amount. Too much or too little is not good for your lawn. To ensure that your lawn is fed properly, we encourage you to take part in our fertilization program. Give us a call in the Greater Austin area at 512-990-2199. 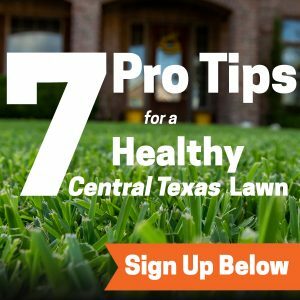 By Emerald Lawns| 2018-03-14T12:07:22+00:00	March 24th, 2015|iron, macronutrients and micronutrients|Comments Off on What do Iron, Zinc and Boron do for your Lawn?